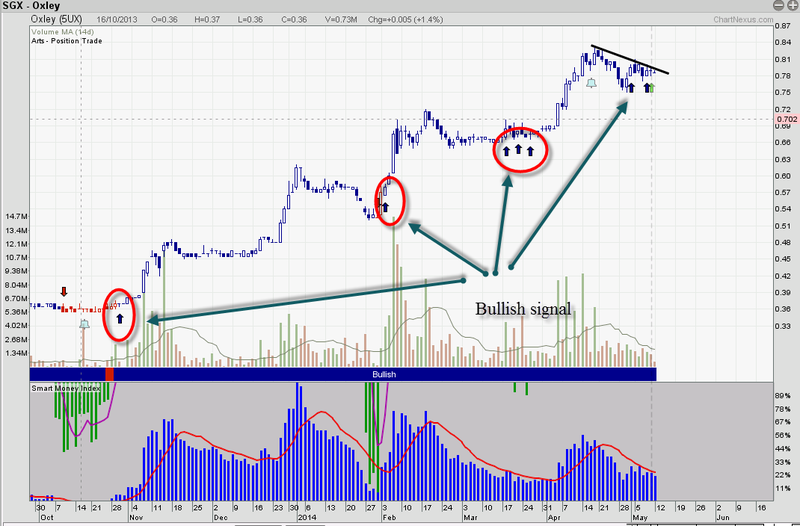 Base on our position trade signal, the Blue arrow represent a bullish signal for entering long position. Since beginning of 2014 Oxley have been going up smoothly, the signal has been giving us an precise entry for this stock. Will this time be the same as the past few time? Should we trust the arrow? If you think that the trend is still uptrending, buying a 52week high stocks retracement make senses. Managing risk by putting a stop at 0.745 will be the exit strategy if the blue arrow fails.